War Rugs: Volume One Pictorial Rugs. The book is the first in a series of books about war rugs. 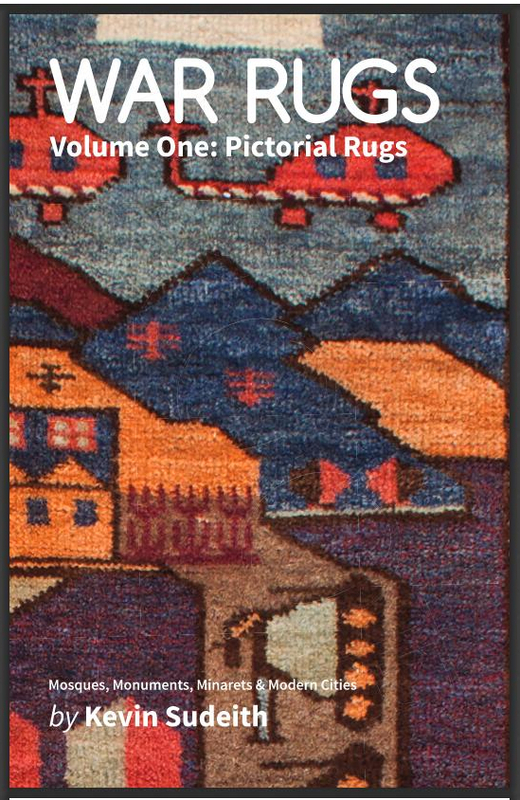 Volume One is 60 pages, 5.5"x11", perfect bound and features 42 plates of early pictorial war rugs including prayer rugs and large format (2x3M) war rugs. Cover price $25 and $30 in Canada. Please use the form above to order a copy, or contact us with questions.